Ever since I can remember I have been a night owl. When I was young, I used to stay up all hours of the night just lying in bed because I’ve always had trouble falling asleep. Well, once I became an adult and realized that the world wasn’t going to wait for me to get up and going, I knew I needed to make some changes! The struggle was so real though. It took a long time, and even though I may never love mornings the way some people do, I have found a routine that helps me to be able to get up and going with a positive attitude. 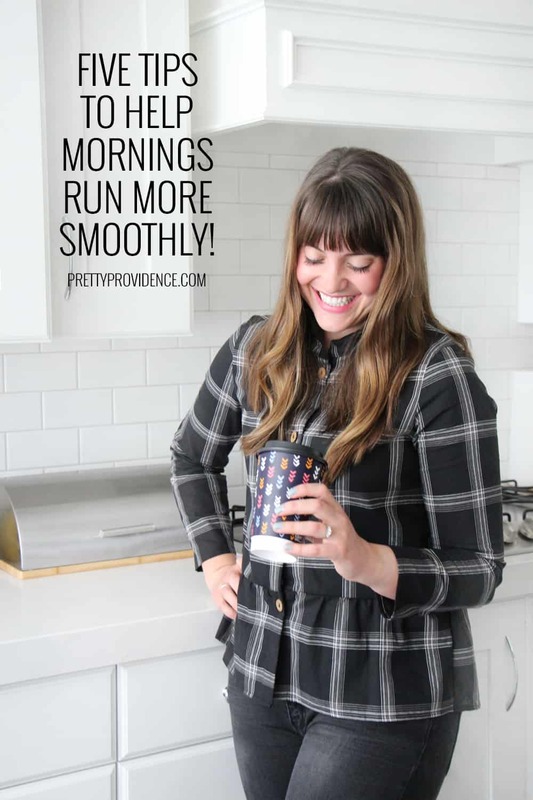 I’m excited to be over on the Chinet® brand blog today to share five tried and tested tips that help my mornings run more smoothly, and maybe they will help you too! I hope you’ll head over and check it out! Yes! I need all the tips I can get!